September 24, 2015 – The Denver Museum of Nature and Science hosted Composer Kenji Williams for a live performance on September 18 as part of the University of Colorado Boulder’s Grand Challenge event, Our Space. Our Future. 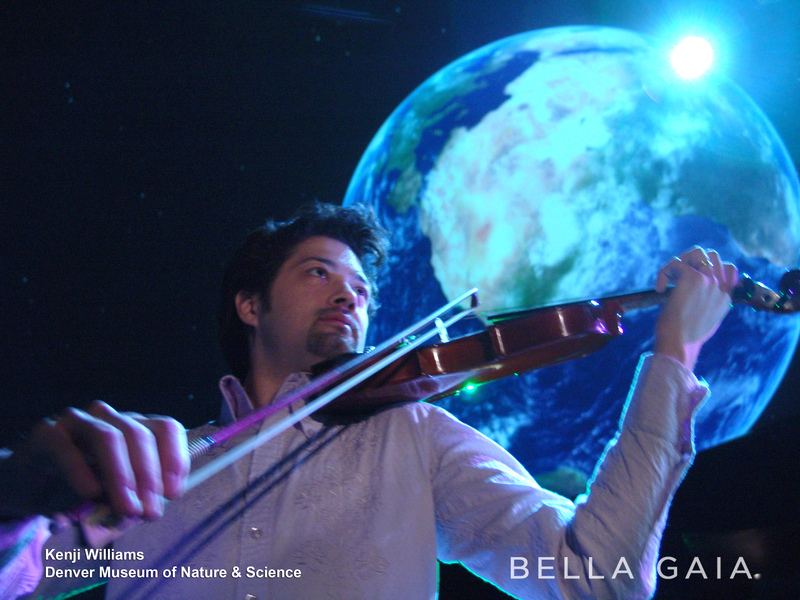 William’s performance of Bella Gaia provided an emotional element to the science program. Williams created Bella Gaia, which translates to “Beautiful Earth,” to inspire people and give them a glimpse into the rare vantage point that astronauts have when they are in space. This “transformative experience,” which author Frank White called the Overview Effect, represents a change in how some returning astronauts conceptualize Earth, one that overshadows manmade boundaries by a sudden awareness that Earth operates as a borderless, interconnected whole. Williams plays violin over electronic music against a multimedia backdrop of NASA scientific visualizations and views of Earth from space. The performance leaves audiences with a transformative sense of wonder and inspiration, seeing the relationship between human civilization and planet Earth. 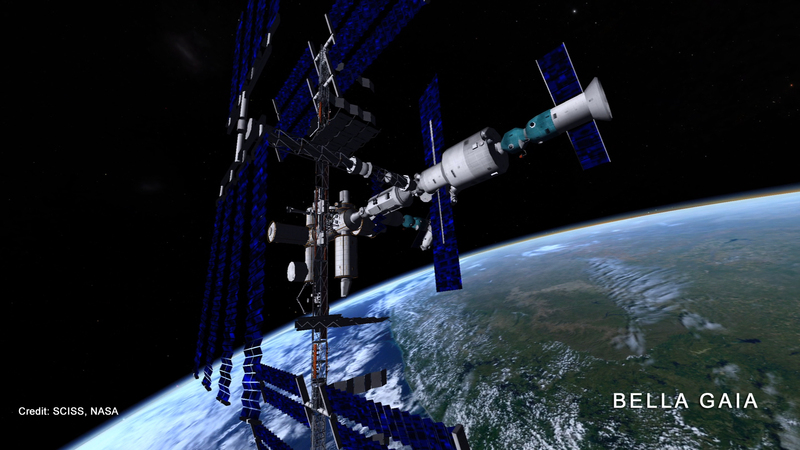 The movie is punctuated with quotes from astronauts who speak of the life-changing power of seeing the Earth from space. The University of Colorado’s Fiske Planetarium has three upcoming presentations of Bella Gaia: September 26 at 7:30 p.m., October 4 at 4:30 p.m., and October 24 at 9:00 p.m.